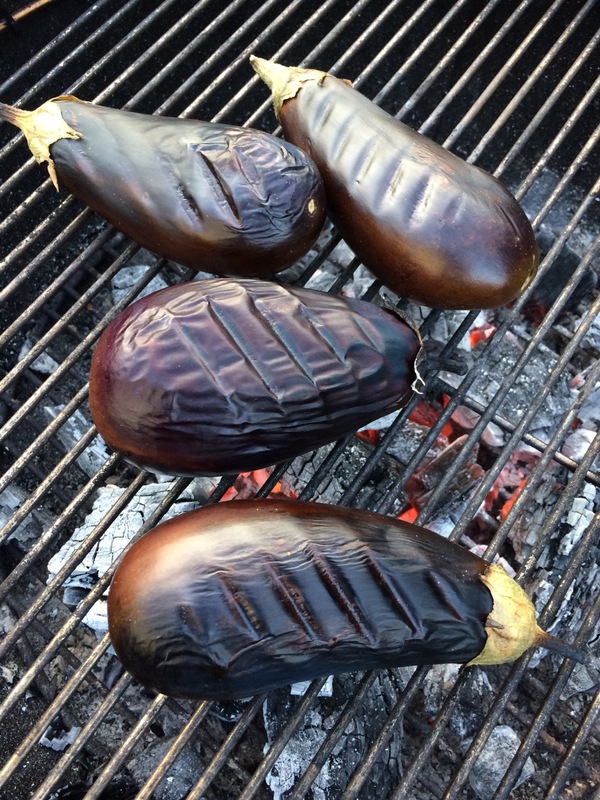 Farmers’ Market eggplants over lump hardwood charcoal. I think there are as many different ways to spell Baba Ghannouj as there are to make it. 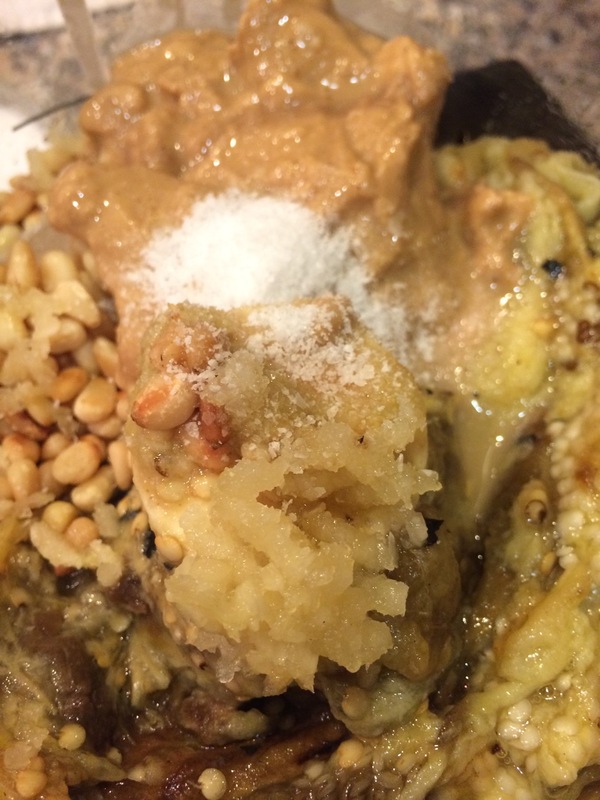 “Ghannouj” vs. “ghanoush”, smooth vs. chunky, etc. I took the spelling from a tub I found at Whole Foods, and the recipe from Mark Bittman’s book, The Best Recipes in the World. 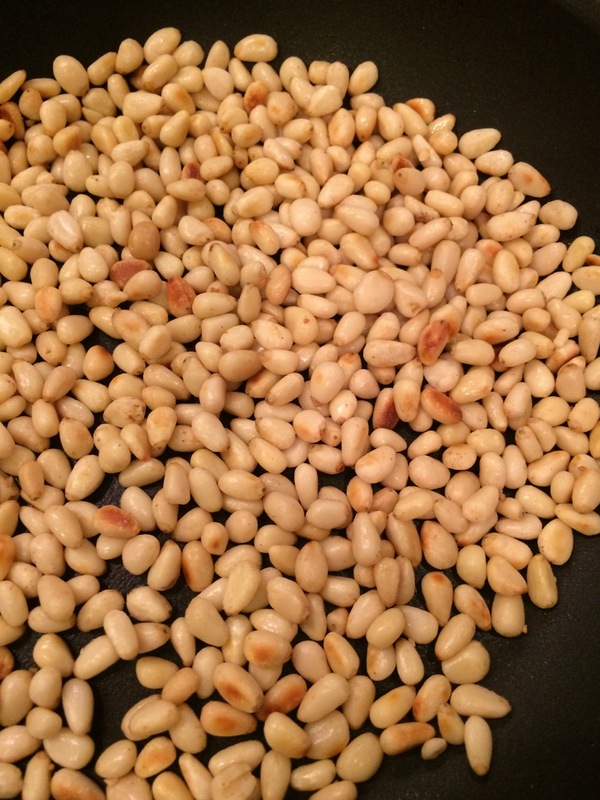 It’s a smooth version, but with nice body thanks to the addition of toasted pine nuts (or almonds). 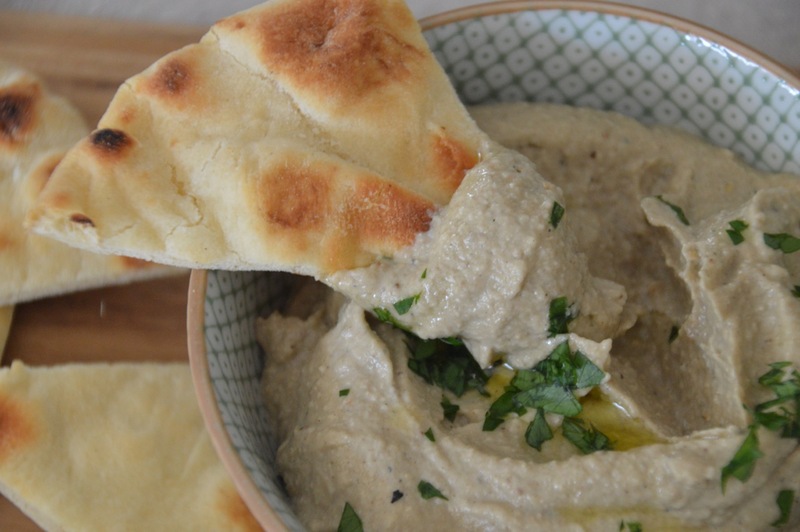 Serve with toasted naan or flatbread, pita chips or carrot sticks. Heat a charcoal (preferable) or gas grill to high, or the oven to 500F. Pierce the eggplants in a few places with a knife or skewer. (This prevents eggplant explosions.) 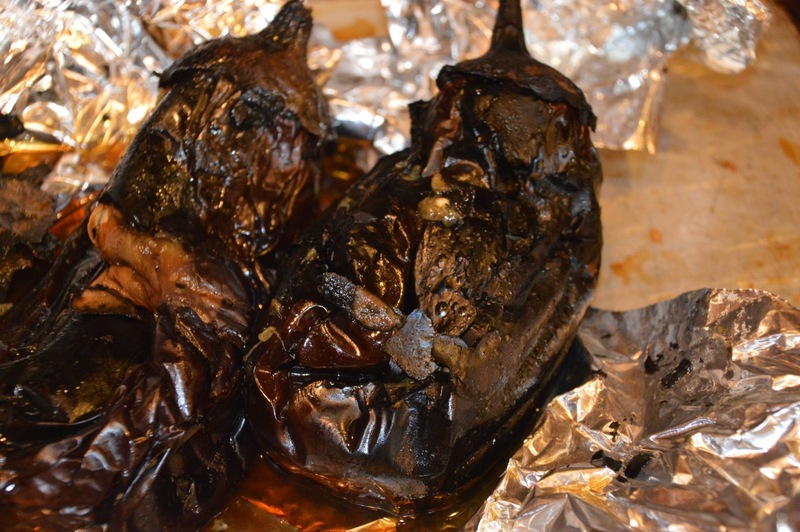 Place directly on the grill grate of a hot grill, or on a foil-lined baking sheet in the oven. Turn eggplants a few times, cooking until charred on all sides and completely soft/collapsing. Set aside to cool, or cover and refrigerate until ready to make dip. Roasted eggplant “guts”, ready for the food processor. 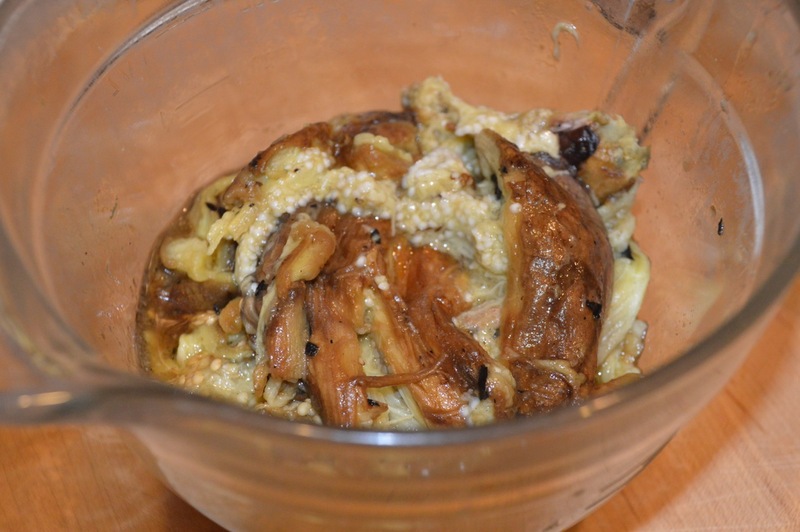 When the eggplant is cool, peel off charred skin and stems and add flesh to food processor. Add toasted nuts, lemon juice, tahini, garlic and salt. 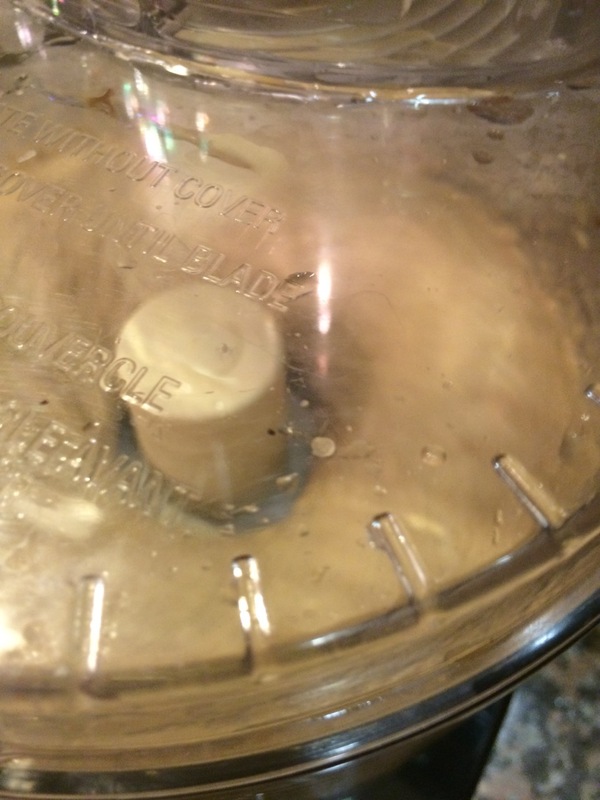 Purée until smooth. Taste and add more salt if necessary. 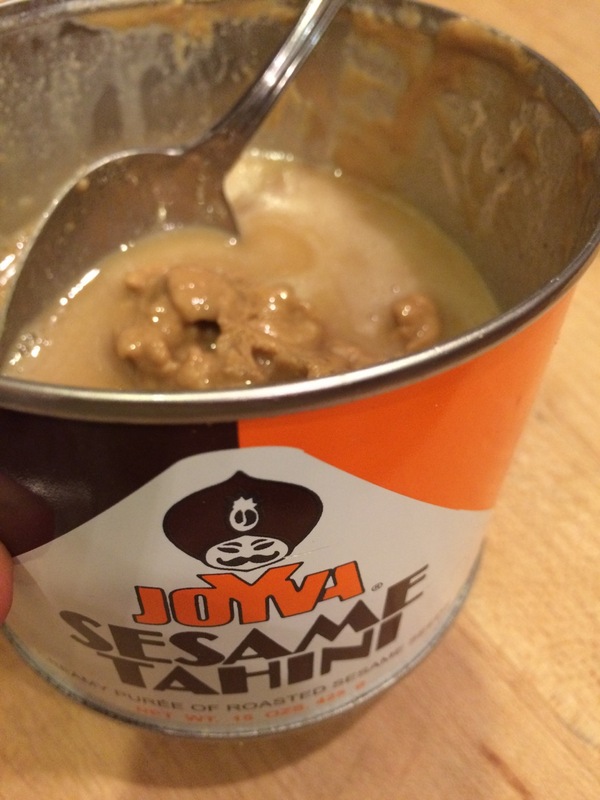 If your tahini looks separated like this, just stir it up a little. Garnish with a drizzle of olive oil and chopped parsley, if desired. I love toasted (in the toaster oven) naan bread, cut into wedges with this dip. However, if not serving immediately, pita chips are better. Serve with toasted naan, pita chips, carrot sticks, etc. – or try as a spread on sandwiches or veggie burgers. I might even try this on my turkey burgers instead of the cilantro sauce. Next up: Favorite Fall Recipes! 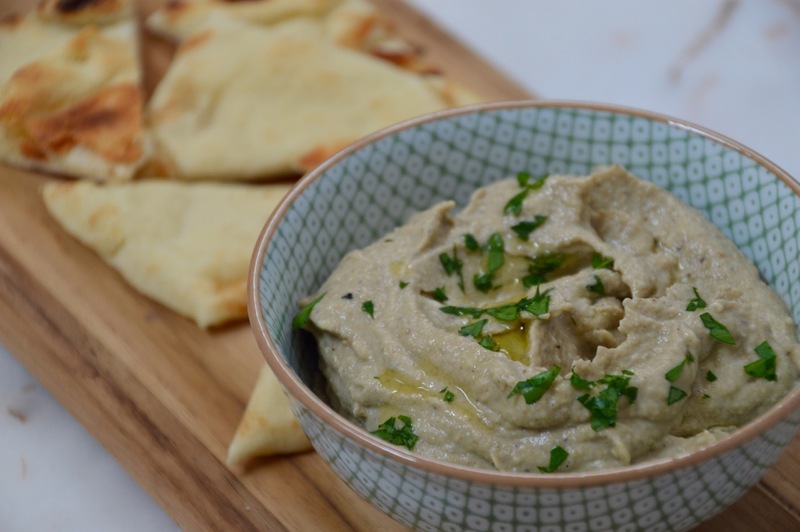 This entry was posted in Appetizers, Entertaining, Middle Eastern, On the Grill, Side Dishes, Uncategorized, Vegetables and tagged appetizers, eggplant, gluten-free, grilling, Vegan, vegetarian by subeeskitchen. Bookmark the permalink. Magic: turning something charred and ugly into a healthy, delicious treat. Inspiring!